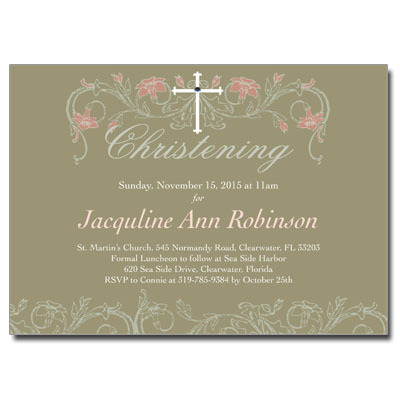 Softly colored and adorned with floral design elements, this card is perfect for inviting friends and loved ones to your child's special event. Comes with stick-on jewels; assembly is required. Card measures 5x7.